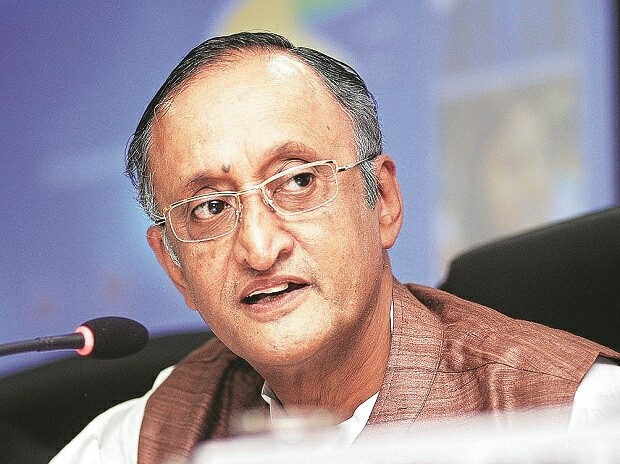 Ahead of the second round of the GST Council meet on real estate on Sunday, West Bengal finance minister Amit Mitra has come out with his proposal on tax rates – which ranges from one per cent to 7 per cent. In a letter to Union finance minister Arun Jailtey, he also raised certain contentious issues such as the fate of input tax credit if a proposal by a group of ministers (GoM) on real estate is implemented. He also asked how a GST regime will treat a complex issue that contains both residential and commercial real estate. The GoM had recommended bringing down GST rate from 12 per cent with input tax credit to 5 per cent without the tax credit for under-construction houses and from eight per cent with the tax credit to 3 per cent without it for the affordable housing segment (costing up to Rs 30 lakh in non-metro areas and Rs 45 lakh in metro cities). Mitra contested this, saying that actual incidence of tax for affordable housing is actually one per cent at present, according to an agenda note circulated to state finance ministers. “Therefore, the suggested rate of 3 per cent by the GoM will actually increase the tax burden on house buyers,” he said. Mitra quoted the agenda note to say that actual tax incidence on houses other than affordable ones is 5 per cent in the medium range and 7 per cent in the premium category. Pointing out that 70 per cent of houses registered in West Bengal have a cost not exceeding Rs 40 lakh, the state finance minister said that these categories of houses should not draw more than one per cent tax. There should be GST rate of not more than 5 per cent on houses costing above Rs 40 lakh and up to Rs 1 crore, he added. Houses costlier than this category could attract 7 per cent tax rate, Mitra proposed. Mitra suggested that “artificial” distinction between houses in metro and non-metro cities be dropped to avoid definitional complications and lend simplicity to the tax structure. “In fact, any artificial segregation of housing, contiguous to the metro cities, could lead to serious interpretational issues and open up possibilities for rent seeking,” he said. He also suggested exempting long-term lease of land (more than 30 years) from GST on the lines of those for industrial uses. Mitra also wanted to know whether the new GST scheme for the real estate sector is optional or mandatory. The council meet could not arrive at a consensus on the issue of taxing real estate players at its meeting on Wednesday. The meeting was deferred to Sunday after some states wanted a face-to-face meeting with the Centre. Wednesday’s meeting was held through video conferencing. There were clear differences among members of the council on real estate. Punjab finance minister Manpreet Badal said that different states have different taxation systems and a uniform rate structure without a discussion would not be proper. Bihar had agreed to the recommendations of the ministerial panel on real estate, stressing that the rate on affordable housing could further be reduced to 1 per cent, according to officials. The meeting on Sunday will also take up the issue of GST rates on lotteries.